Aluminum is the third most abundant element on the surface of the Earth after oxygen and silicon. It is estimated that the Earth’s crust to a depth of 10 miles contains 8.05% aluminum. 5000 B.C. – People in Iraq made fine pottery from a clay which consisted largely of a compound containing aluminum. 2000 B.C. – Egyptians and Babylonians were known to use aluminum compounds in various chemicals and medicines. 100 B.C. – A Roman commander named Archelaus discovered that wood was nearly flame-resistant if it was treated with a solution of alum. He used the solution to protect his fortifications.The Latin name for alum is “alumen,” meaning bitter salt. 100 A.D. – The Roman author Pliny the Elder referred to a substance as alumen in his book “Historia Naturalis,” which was regarded as a scientific source book through the Middle Ages. The compound alum, potassium aluminum sulfate, was used by humans since ancient times for tanning, dyeing, to stop bleeding and as an ingredient in baking powder. Alum was also used for paper-sizing in the paper-pulp industry, and in medicine for dermatology, cosmetology, stomatology and ophthalmology. 600 A.D. – A large ceramic complex was established at Jingde Zhen in China near an abundant source of white clay at Kaolin Mountain. Aluminum as an oxide was a key component in the material used to make the fine pottery. 1550 – Sometime in the middle of the 16th century, the itinerant chemist Paracelsus reportedly separated an “aluminus soil” from alum which contained the oxide of a new metal. 1750 – Andreas Marggraff of Germany discovered a technique to produce a new type of alum without sulfur. Most chemists during Marggraff’s time believed alumina was an “earth” of a previous unknown metal. 1760 – Louis de Morveau named the new substance isolated by Marggraff alumina. Its chemical name today is aluminum oxide. 1808 –Sir Humphry Davy of Great Britain established the existence of aluminum by decomposing alumina in an electric arc. He named the element aluminum. 1821 – Pierre Berthier of France discovered a hard, reddish clay-like material which contained 52% aluminum oxide near the village of Les Baux in southern France. He named the material bauxite. 1824 – Jons Jacob Berzelius of Sweden was credited as the first person to create synthetic cryolite. 1825 – Hans Christian Oersted of Denmark produced minute quantities of aluminum as a metal by using a dilute potassium amalgam to react with anhydrous aluminum chloride. When the mercury was distilled away, a residue was left of slightly impure aluminum. 1827 – Freidrich Wohler of Germany described a process for producing aluminum as a powder by reacting potassium with anhydrous aluminum chloride. In 1845, Wohler established the specific gravity of aluminum and thus described one of its unique properties as a metal – its light weight. 1854 – Henri Sainte-Claire Deville of France improved on Wohler’s method of producing aluminum. The resulting metal was more expensive than gold or platinum. 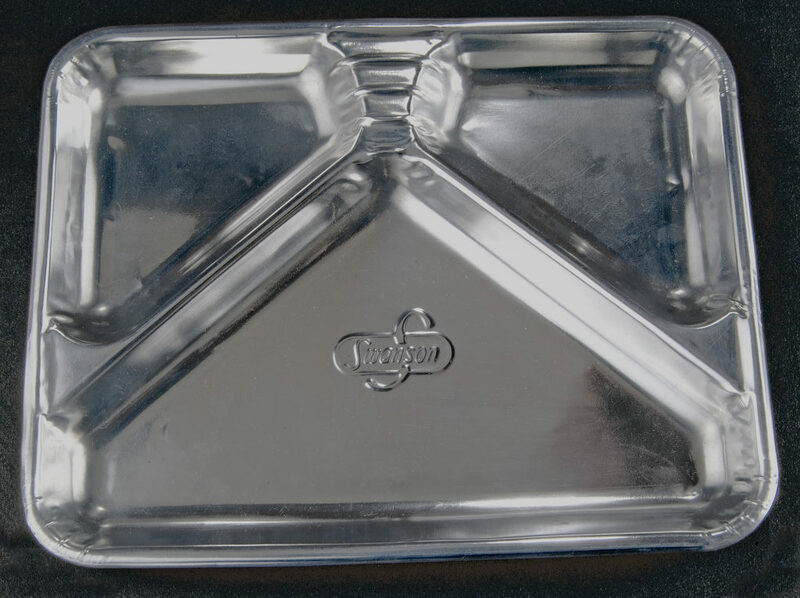 In 1855, a bar of aluminum was exhibited at the Paris Exposition and Emperor Napoleon III used aluminum for expensive dining utensils. 1855 – Louis Le Chatelier, the Chief Inspector of Mines in France, invented a more economical method for the industrial production of alumina by chemical processes. 1855 – Deville joined Charles and Alexandre Tissier and began industrial production of aluminum in Rouen, France. From 1855 to 1890, a total of 200 tons of aluminum metal was produced using Deville’s improved process. Aluminum production by their chemical process ran into trouble in Glaciere, a suburb of Paris, when neighbors objected to the smell of chlorine and salt fumes from the plant. 1859 – Scientific American reported that advances in the production of aluminum using cryolite from Greenland had brought the price of aluminum down from $18 per ounce in 1856 to about $1 per ounce. 1865 – The Danish government offered two 75-year concessions for mining cryolite in Greenland – one to the Pennsylvania Salt Co. of Philadelphia, with exclusive selling rights in North America, and another to the Oresund Co. of Copenhagen, with exclusive selling rights for the rest of the world. 1871 – Zenobe Gramme of Belgium demonstrated his electrical generator at the Academy of Sciences in Paris. Powerful electrical generators made the aluminum industry possible after 1886. 1883 –Charles S. Bradley of the U.S. filed a patent application which broadly claimed the idea of fusing ores by use of an electric arc that would reduce the ores and keep them in a fused state by internal electrical resistance heating. Internal heating by electrical current was a key component of aluminum production after 1886. 1883 – Bauxite was discovered in Georgia and later in Alabama and Arkansas. The Pittsburgh Reduction Company acquired bauxite reserves and mines after 1888, and by 1909 the company owned 90% of the economical bauxite reserves in the U.S.
1884 – William Frishmuth, who supplied aluminum for capping the Washington Monument, warned in the New York Times that “foreign capitalists” were about to control the global aluminum market. 1885 – Hamilton Y. Castner of the U.S. improved on Deville’s method of producing aluminum. The annual output from his method was 15 tons. 1886 –Charles Martin Hall of the U.S. and Paul Louis-Toussaint Heroult of France, working separately and unaware of each others’ experiments, discovered a new method for producing aluminum as a metal. The method involved dissolving aluminum oxide in a molten bath of cryolite and passing a powerful electric current through the solution. The aluminum metal settled at the bottom of the reduction pot, the positively-charged cathode. The Hall-Heroult process remains in use today. 1887 – The price for aluminum dropped to about $8 per pound, but less than 140,000 pounds had been produced since 1854. Most uses for aluminum included jewelry, navigation instruments and clocks. 1887 –After seeing the success of the new aluminum producing facility at Neuhausen, Switzerland, the first French company to use the Heroult patent began operating at Froges, near Grenoble, where a hydroelectric plant existed. The company later grew through mergers to become Pechiney. 1888 – A group of young entrepreneurs met with Charles Martin Hall in Capt. Alfred Hunt’s living room in Pittsburgh on July 31, 1888, and agreed to invest in a new company called the Pittsburgh Reduction Company. A pilot plant was built on Smallman Street, with Hall in charge and Arthur Vining Davis as his assistant. The first aluminum ingot was poured on Thanksgiving Day 1888. The small plant could produce about 5,000 pounds per month by 1890. The company eventually became Alcoa. 1889 – Karl Josef Bayer of Austria invented an economical process for large-scale production of alumina from bauxite while working for a textile company in St. Petersburg, Russia. His method replaced the Le Chatelier process and remains in use today. 1889 – Paul Heroult traveled to Switzerland and helped establish the Aluminium Industrie Aktien Gesellschaft aluminum company. Its largest smelting operation was built at Chippis, Switzerland, in 1907. 1891 – The Pittsburgh Reduction Company sued the Cowles Electric Smelting and Aluminum Company of Cleveland after Cowles began to advertise pure aluminum for sale. Two years later, Judge William Howard Taft ruled in favor of Charles Martin Hall and the originality of his invention. 1893 – Industrial companies in Freiberg, Germany, paid out more than $460,000 (in 2017 dollars) for current injuries caused by air pollution and another $400,000 for permanent relief. By 1907, a disease of cattle endemic for 20 years was identified as being caused by fluoride emissions from smelters. 1894 – The Pittsburgh Reduction Company imposed restrictive covenants on the new hydroelectric utility company at Niagara Falls, New York, to prevent the utility from selling power to any other aluminum smelting company. The company built a smelter there in 1895 to utilize the abundant cheap power. 1895 – The Pittsburgh Reduction Company signed an agreement to join a cartel with a Swiss aluminum producer. The company agreed not to sell aluminum in four specified European countries, and the Swiss company agreed not to sell aluminum in the U.S. The Pittsburgh Reduction Company joined other international aluminum cartels through the next four decades. 1895 – The Pittsburgh Reduction Company pioneered the production of sheet aluminum in 1895. In order to increase its sales of virgin ingot aluminum, the company tried to convince other U.S. companies to manufacture aluminum sheet, but its attempt failed. 1897 – The Cowles Electric Smelting and Aluminum Company sued the Pittsburgh Reduction Company for using the Bradley patent, which Cowles held. On Oct. 22, 1901, Judge John R. Hazel ruled against Cowles. On Oct. 20, 1903, Judge Alfred Coxe Sr. reversed Judge Hazel’s decision and ordered the Pittsburgh Reduction Company to pay about $3 million in damages. 1899 – The Pittsburgh Reduction Company attempted without success to encourage U.S. industries to manufacture aluminum cooking utensils. The company organized the Aluminum Cooking Utensil Co. in 1901 as a result. 1899 – The Pittsburgh Reduction Company signed a power sales agreement with the Shawinigan Water and Power Co. in Quebec for a new aluminum smelter. The smelter was constructed in about seven months and poured its first ingot of aluminum on Oct. 22, 1901. Twenty-five years later, a new smelter was operating at Arvida using power from the Saguenay River in Quebec. This marked the beginnings of the Northern Aluminium Co. Ltd., which later separated from Alcoa and became Alcan. 1900 – Annual output of aluminum worldwide reached 8,000 tons by 1900. By 1913, output was 65,000 tons. By 1920, it was 128,000 tons. By 1938, it was 537,000 tons. By 1946, it was 681,000 tons. By 1997, about 22 million tons of primary aluminum was produced worldwide, along with 7 million tons of recycled aluminum. 1900 – Uses for aluminum expanded rapidly after 1900 from jewelry and fine cutlery to kitchen utensils, light machinery, bicycle parts, camera components, shoe eyelets, horseshoes, locomotive headlight reflectors, lithographic stones, coins, automotive and engine parts, industrial applications, electrical wire and cable, architectural features, furniture, explosives and the most important application of all, aircraft. 1900 – The first strike in the U.S. aluminum industry occurred on March 27, 1900, after thirty-seven workers at the Pittsburgh Reduction Company’s wire mill in New Kensington, Pa., demanded wage increases. 1902 – The Pittsburgh Reduction Company started construction of a large alumina refinery in East St. Louis, Ill. The refinery did not use the Bayer process until the Bayer patent expired in 1911. The company built a large alumina refinery in Mobile, Ala., in 1938 that processed bauxite from South America. 1903 – The Anaconda Copper Mining Co. temporarily shut down its new Washoe smelter in Anaconda, Mont., as the company faced a flurry of lawsuits from Deer Lodge Valley farmers and ranchers claiming fumes from the smelter were hurting their crops and livestock. This followed decades of dangerous air pollution by outdoor smelters in Butte. 1907 – The Pittsburgh Reduction Company changed its name to the Aluminum Company of America, which was later shortened to Alcoa. 1910 – Scrap aluminum at fabricating shops had little value and sold for about one cent per pound prior to 1910. From 1922 through 1937, the production of secondary aluminum in the U.S. averaged 37,500 tons per year, but production exceeded 62,500 tons in 1937. Some cooking utensils produced in the 1930s were made entirely of secondary aluminum. 1911 – The alloy duralumin was first produced in 1911 by the German chemist Alfred Wilm in the town of Dueren, Germany, for which the alloy was named. Composed of aluminum, cuprum, magnesium and manganese, the alloy became increasingly solid several days after the metals were melted together and became key to the development of all-metal aircraft. 1912 – Alcoa began to explore for bauxite in British Guiana and Dutch Guiana. The South American reserves became a main source of bauxite for U.S. aluminum production. Bauxite ships were sunk by German U-boats during World War II. 1912 – The U.S. Department of Justice filed a complaint against Alcoa for violating the Sherman Act on May 16, 1912. A decree later was issued that contained sweeping injunction provisions with clauses that were considered quite broad and limited some Alcoa business deals.